Highlights: What have we been up to? Can you believe it’s already June? We’re excited for sunny days and a little beach time. Father’s Space held their last workshop on May 22nd. All participants have left the class feeling a little more empowered as fathers and members of the community. Thank you fathers for your dedication to the program! We hope to see you all at our family events. Earlier this year, CHAC Family Resource Centers built a great partnership with Theuerkauf Elementary School. We’ve been involved in the school’s Early Childhood Education class, Cheetah Cubs, on Wednesdays at 8:45 AM. On May 24, the Cheetah Cubs ended the year with a fun, creative project: homemade playdoh. We’ve had a phenomenal time volunteering for the program and hope some of our families that have a child attending Theuerkauf can join us in the fall! Our Tuesday class at Vargas has transitioned from our SEEDs program to 10 Steps to a Healthier You! We’re happy to see our families enjoying our core classes. To Erika: our super volunteer for Mommy & Me at Vargas Elementary! Thank you so much for your dedication to CHAC Family Resource Centers!!! We wish you all the best in your last trimester and June delivery. You will be missed by our staff and families. For our four father volunteers: Alex, Eli, Chris, and Jose, the work you’ve put in to Father’s Space has been inspiring. We hope you’ve created strong relationships within your group of incredible dads. Thank you so much for the passion you’ve poured out into this workshop. Classes at Regnart will be ending on the last day of school: June 8. We hope our families have a great summer! Ready4K is a program that sends fun and helpful kindergarten readiness text messages to parents with children 2 – 4 years of age. Sign up now through familyresourcecenters@chacmv.org or text “Ready4K81a” to 70138! On June 23rd, we are celebrating our lovely volunteers! If you have volunteered with CHAC Family Resource Centers we invite you to join our potluck at Las Palmas Park in Sunnyvale from 11:00 AM to 2:00 PM. A special Mommy & Me class began on Friday, May 26 at Vargas Elementary! Themes have been implemented to the Play & Learn style class and will be held bi-weekly (Mondays and Fridays) throughout June from 9:00 to 11:00 AM. This is a drop-in class – please come on time to secure a place! Abriendo Goals is a wonderful way to empower each other as parents and allow your children (ages 4+) to soak up the sun at soccer camp! The class will be in Spanish at Vargas Elementary from 10:00 AM to 12:00 PM starting on July 17 – August 3. Our Spring Garden Party was a huge success this year! Over 30 families participated in circle time, shared fresh fruits, engaged in crafts, dug in the dirt, released lady bugs, and watered plants. We had fun and hope you did too!! The CHAC FRC staff had the pleasure of attending four community events for outreach in the month of April. Come visit our table at Hands on the Arts on May 20th. We’ll be creating tote bags with children! Spring Family Fun in early May was better than we could’ve ever imagined! We welcomed 350+ families to the event and they had a blast with games, crafts, learning about resources, and watching performances. We hope our next annual Spring Family Fun will be just as incredible! We’d like to extend a huge THANK YOU to the Spring Garden Party sponsors. Our event was a success because of your generous donations: EZ Home, SummerWinds Mountain View, Mr. Molina, and Mr. Chu. Thank you to 4C’s, City of Mountain View, West Valley Community Services, Columbia Neighborhood Center, and City of Sunnyvale for giving our staff the opportunity to educate families from the community about our organization! To all the SJSU students, from the bottom of our hearts: thank you, thank you, thank you for all the support you’ve provided with the Spring Garden Party and Spring Family Fun. Lastly, we’d like to express our gratitude to two wonderful men that have supported CHAC Family Resource Centers in many ways: Jose Luis and Jose Cruz. Thank you, Jose Luis for supporting our Gen2Gen program and Jose Cruz for taking photographs at the Spring Family Fun event! Again, come visit CHAC Family Resource Centers at Hands on the Arts in Sunnyvale from 10:00 AM to 4:00 PM! ― Dr. Seuss, Oh the Places You’ll Go! Movetrition began on March 3rd and continues until April 7th. We’ve had a wonderful time trying new fruits and vegetables as well as engaging in movement activities! Triple P Workshops at our Mountain View and Sunnyvale satellite sites were a success. Parents were given an opportunity to learn about positive parenting and share experiences with one another. Father’s Space continues to meet every Monday at 8:00 PM. Registration for the class is ongoing – join our community of fathers today! Parents attending Abriendo Puertas at MVLA were given the opportunity to watch Sweet Revenge and thought the film was very entertaining! 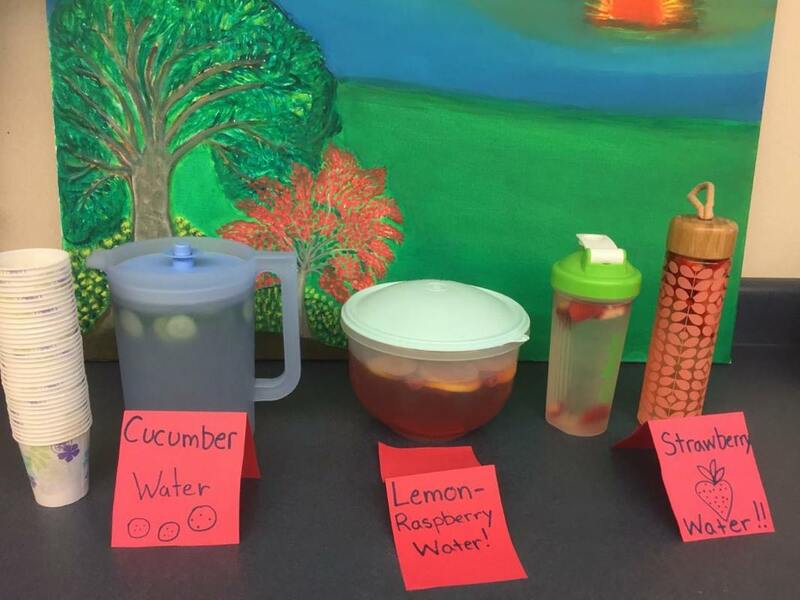 SEEDs at the Cupertino Family Resource Center modeled teaching as a parent! Attendants had a wonderful time discussing the importance of early literacy for children. Students in the Youth Parent Program had a good time sharing family stories and experiences with one another at Abriendo Puertas and SEEDs. We’d like to extend our appreciation to the SJSU students that have been a huge support for Movetrition and our upcoming Spring Garden Party! Aprendemos Juntos begins on April 24th 9:30 AM at the Mercy Family Resource Center! CHAC Family Resource Centers are closed for Spring Break on April 10th – April 14th except our Spring Garden Party! Join our Spring Garden Party on April 14th 10:30 AM at Mercy Street! We will be planting seeds in our garden, hosting a story time and creating spring crafts. No registration required. Our staff will be soaking up the sun at weekend community events. Come visit our table at the following events: 4C’s Workshop Resource Fair (April 1st), Mountain View Volunteer Fair (April 1st), Mountain View Spring Parade (April 22nd), Fun & Fit Fair Sunnyvale (April 29th), and West Valley Community Health Event (April 29th). 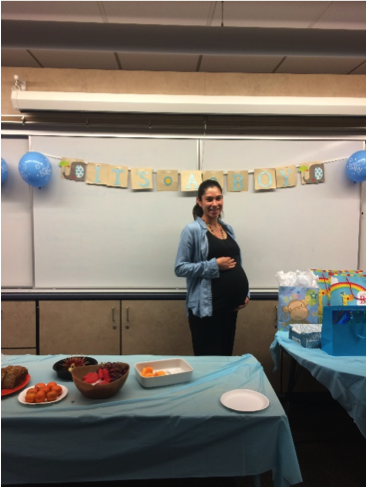 The Sunnyvale Library’s Baby Shower was a huge success! We provided hand massages to many expecting and new mothers in the community. We hope to participate in another baby shower event in the future! We received great feedback from families at our Community Night Out event! The group has decided to gather monthly to continue improving CHAC Family Resource Centers. Immigration Info Night was informative and empowering. Forty families attended to discuss the new administrative policies and immigrant rights! Bear & Bee was a big hit amongst the community! At FIRST 5’s Silicon Valley Reads, Commissioner Rachel Samoff read the story to 30 children who later received a free book! The kids were also given the opportunity to play and engage in a mask art craft. Father’s Space met for the first time on February 27th. It was inspiring to see the dads interact with one another and contribute to the group conversation. The class will continue every Monday in March – it’s not too late to sign up! We had a wonderful turn out for Triple P! A diverse group of parents who are very much looking forward to sharing experiences met on February 28th. The children were well-behaved in childcare while the parents interacted. We appreciate Sunnyvale Library for including us in the Community Baby Shower and for the ongoing support! Sacred Heart Community Service Organization – THANK YOU so much for presenting at Immigration Info Night! THANK YOU to FIRST 5 Santa Clara County and Commissioner Rachel Samoff for hosting a fun Silicon Valley Reads at the CHAC Family Resource Center. To the four father volunteers that have worked so hard to prepare for Father’s Space, THANK YOU! Triple P - Practicas de Paternidad Positivas will start on Thursday, March 14th 9:00 AM at Vargas Elementary! Improve your parenting skills with this simple to use, proven to work method. Three sessions in Spanish will cover the following topics: power of positive parenting, raising confident and competent children, and raising resilient children. We hope to see you there! Community Night Out will be hosted again on March 31st 6:00 PM at Sunnyvale Community Center. Gather with our group for some good food and lively discussion pertaining to engaging members of our community! If you need childcare, please sign up by March 28th: http://bit.ly/chacfrcsadvisory. February is here! We plan to show appreciation to our love ones this month. How about you? The dads have been working hard to plan our new and improved workshop, Father’s Space! If you are a dad looking to strengthen the bond with your child, come share your stories and build connections with other fathers. CHAC, has started Spanish Parenting Classes on Saturday, January 28 and Wednesday, February 1. Topics include positive discipline, communication skills, managing stress and anger, as well as culture. It’s not too late to enroll! If you are interested, please come to the CHAC building located at 590 W. El Camino Real, Mountain View to attend a session. Classes are free, food, and childcare also offered without a cost. We’d like to extend a huge THANK YOU to Playna and Noe Parra. They have been phenomenal in our Wednesday Spanish Play & Learn class at Mercy Street FRC. In addition, Noe took part in leading a Spanish 24/7 Dad's program last quarter. They are currently preparing for our pampering station at Sunnyvale Public Library’s Baby Shower on Saturday, February 3rd. Of course, THANK YOU to all our volunteers! We couldn’t run all of our programs without you. Mercy Street FRC will be closed on February 20th for President's Day. Escuela FRC, Vargas FRC, and Regnart FRC will be closed from February 20th - February 24th. Classes will resume on the week of February 27th. We are teaming up with the Sunnyvale Public Library to honor new and expecting mothers and fathers! The Community Baby Shower will be held on February 4 from 10:30 AM to 12:30 PM at 665 W. Olive Ave, Sunnyvale. Plenty of resources will be provided to welcome your new baby. There will be baby shower games, prize drawings, child care information, books for the first 50 families, and a pampering station hosted by us! We hope to see you at this free community event. Please join us for a community meeting on Friday, February 10 from 6:00pm-8:00pm to discuss Family Resource Center services, how we can improve programming, expand community partnerships, and how we may stay connected to sustain funding for the future. The meeting will be held at 550 E. Remington Dr, Sunnyvale (in the Neighborhood Room that is inside the Sunnyvale Community Center). To receive childcare, please register by February 7 - children will be watching a family favorite, Zootopia! RSVP here: bit.ly/chacfrcsadvisory. Calling all fathers! You are invited to Father’s Space, an ongoing seminar to explore how to build a sincere and fulfilling bond with your child. Sessions will be held Mondays starting on February 27 at 8:00 PM to 9:30 PM at our main office: 748 Mercy Street. Register at http://j.mp/CHAC247Dad. Triple P is back! Improve your parenting skills with this simple to use, proven to work method. Three sessions will cover the following topics: power of positive parenting, raising confident and competent children, and raising resilient children. Join us Tuesdays starting on February 28th from 10:00 AM to 11:30 AM at 748 Mercy Street. Registration is required at http://j.mp/CHACTripleP. If childcare is needed, please RSVP by February 21st. For all the movers and shakers out there, we are hosting another Movetrition class. This 6-week program is designed for children, ages 3-5, to become enthusiastic about eating fruits and vegetables as well as physical activity. We encourage families to drop into the class, but space is limited to first 15 families. The program will be held at Vargas Elementary School starting on Friday, March 3 from 10:00 AM to 11:30 AM. Let us know if you’ll join at http://j.mp/Movetrition. Silicon Valley Reads will be coming to our Mercy Street FRC on Friday, February 24 at 10:00 AM to 12:00 PM. Join us for a fun reading session with other families in the community. Happy New Year! We hope that you had a wonderful Holiday Season. What are your goals for 2017? On December 14, we celebrated the Holidays with a community party at Vargas FRC. Classes throughout our FRCs performed on our stage. We celebrated with songs, dances, and a play. Watch out world! We have uprising superstars! We concluded our 24/7 Dad* program in Spanish on Tuesday, December 6. Jose & Noe did an amazing job facilitating the class. Alex & Eli who taught the first round of 24/7 Dad* came back and celebrated with this new graduating class. We are so blessed with the dedication and commitment ​from these men. Big plans are ahead for the fatherhood* involvement program. Stay tuned. Our SJSU interns Shagoofa, Sami, & Mandy have been instrumental these past months. They have coordinated classes and events, helped with fundraising, and excelled at administrative duties. We wish them the best in all their future endeavors! We look forward to welcoming a new team of interns this month. Thank you, to everyone who have supported our "Thanksgiving Boxes". The funds raised will help supplement operational and educational materials/resources for all our sites. We would like to welcome Joy Anne Nichols to our team as our Community Engagement Coordinator! Our Family Resource Centers will be closed on Monday, January 16 in observation of Martin Luther King Jr. Day.